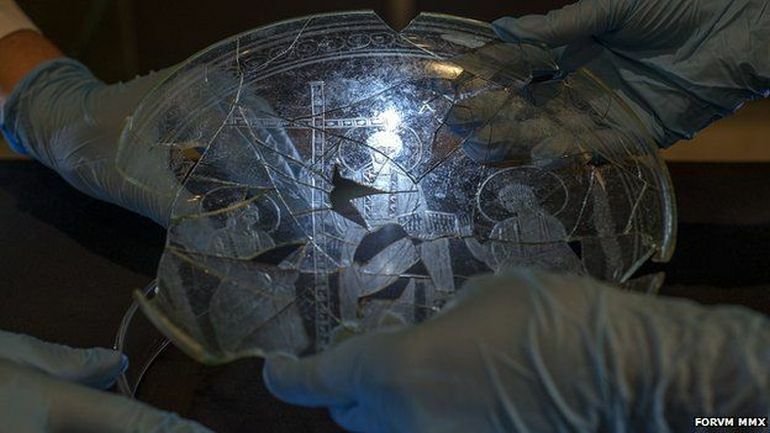 Back in 2014, a group of archaeologists made a fascinating discovery in the form of a 4th century AD dated glass plate (also known as ‘paten’) in Spain that contained an engraving of Jesus and two other male characters – presumably Peter and Paul. And quite interestingly, the visage of Jesus depicted here is a far-cry from conventional notions, with his curly yet short hair and a completely beardless face. The incredible specimen was found inside the ruins of an ancient building, in the town of Cástulo in Andalusia, which was excavated by a team of researchers as a part of the FORVM MMX dig project. 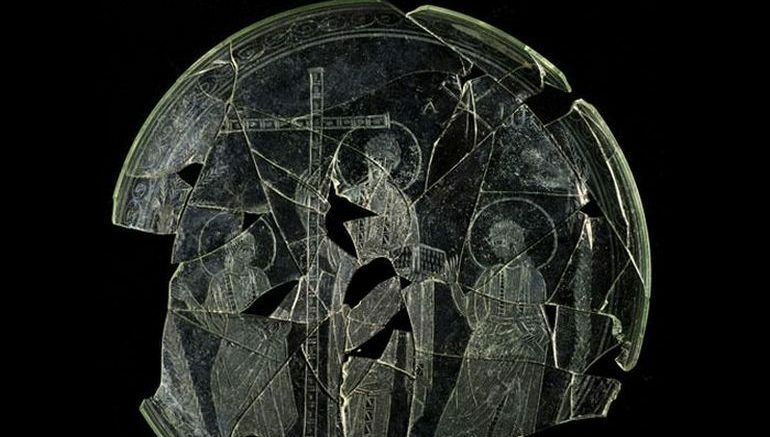 And fortunately for the experts, this particular glass plate with 8.6-inched diameter was preserved in good conditions – that still pertains to the ethereal greenish vibe and the impressive craftsmanship of the piece. 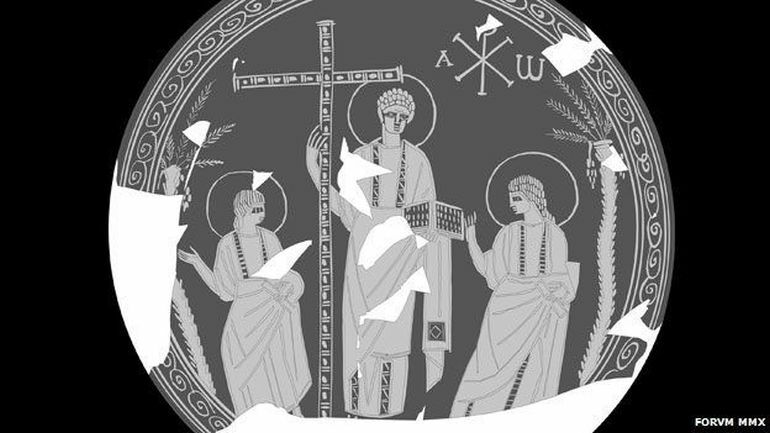 In fact, the date of the paten mirrors the reign of Christian Roman emperor Constantine, and as such the pattern of the engraving is similar to the late-Roman and Byzantine (Eastern Roman) iconography styles (see at bottom of post) – in which Jesus was always depicted in the middle, flanked by other holy or exalted characters. The scope of the portrayal entailed beardless Jesus carrying the cross on one hand and presumably holding a holy scripture on the other hand. The entire scene with all the three men (including beardless Jesus) was captured within a celestial orb, which was framed between two palm trees. There is probably a symbolic side to the whole affair, with the cross representing resurrection and the palm trees representing immortality. As for the ‘purpose’ of this well-preserved glass paten (currently exhibited at the Archaeological Museum of Linares), the historians believe the plate was used to hold Eucharistic bread in the rituals of early Christianity. 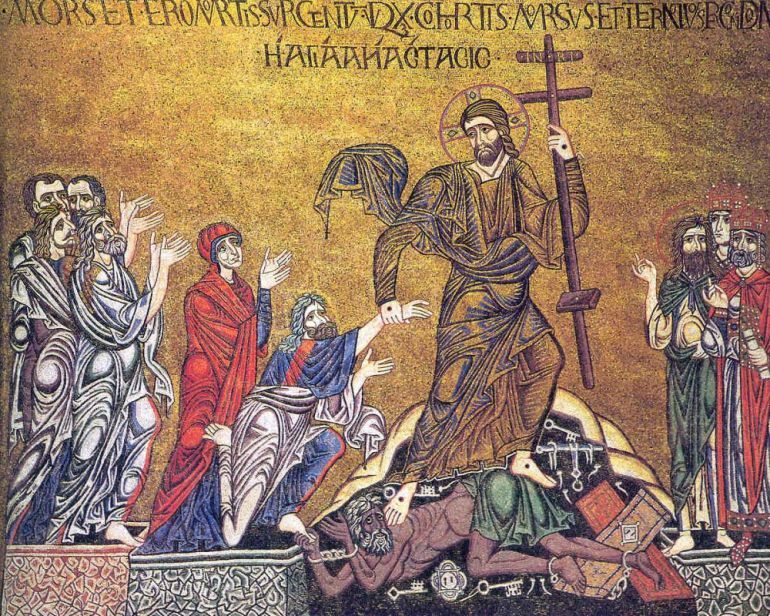 And, in that regard, the incredible find also sheds some new light into the arrival of Christianity in the Spanish heartland – which might have been earlier than thought before. Now lastly from the perspective of history, the ancient Spanish town of Cástulo had been inhabited since the Neolithic times; and by 6th century BC, the site was settled by an Iberian tribe known as Oretans. In late 3rd century BC, the settlement was briefly under the control of the Carthaginians (during the Second Punic War), but later became a foederati (ally) of Rome.